For Membership ID Cards compatible with the digital press, inkjet press, office laser printers and inkjet printers, please visit us at www.lasermembercards.com, Laser Member Cards is a Midwest Business Forms LLC Company. Membership ID cards are commonly used for healthcare, dental, government licensing, promotional coupons, museums, zoos and associations. 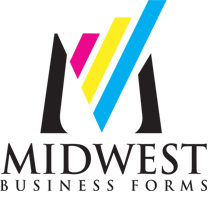 Midwest Business Forms will be a store front for blank stock forms, thermal labels, perforated paper, healthcare forms such as LaserBand and RX papers, security check papers and more.